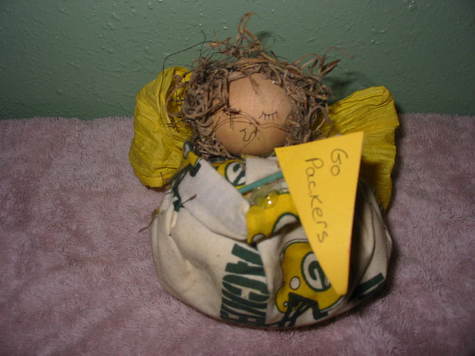 This handmade, hand sewn Packers Angel sits approx. 4in high. Made from Packer fabric with straw hair and a yellow paper bow. Makes a nice paperweight. Not intended for children.